Harry Maguire will be closely watched by an army of Premier League scouts when England take on Sweden in Saturday’s World Cup quarter-final. The 25-year-old centre-back has been one of England’s star performers in Russia so far with three commanding displays, after starting all 38 of Leicester City’s Premier League matches last season. And CaughtOffside has learned that Manchester United, Tottenham and Liverpool are all keeping tabs on the former Hull star, with Leicester braced to receive several bids later this summer. United are seemingly keen to bolster a backline which lacked continuity last season – when dips in form and fitness led to Phil Jones, Marcos Rojo and Eric Bailly missing many matches. Liverpool’s desperation for defensive reinforcements was eased in January when Virgil van Dijk arrived from Southampton, but the Anfield outfit remain keen to improve further ahead of a crack at the Premier League title. Maguire only joined Leicester last year when the Foxes shelled out around £17million to prise him away from Hull. But he could be on the move again very shortly. Tottenham – amid uncertainty surrounding Toby Alderweireld’s future – expressed interest in January when the London side were willing to offer just over £40m for Maguire but had an enquiry knocked back. 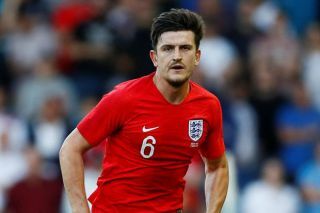 Maguire’s stock has since rocketed and it is understood that Leicester are now determined not to sell for any less than £60m – which would be a record fee for a British defender. Liverpool splashed out £75m on Dutch centre-back Van Dijk earlier this year, but England right-back Kyle Walker remains the most expensive British defender after arriving at Manchester City from Spurs for £54m last summer.